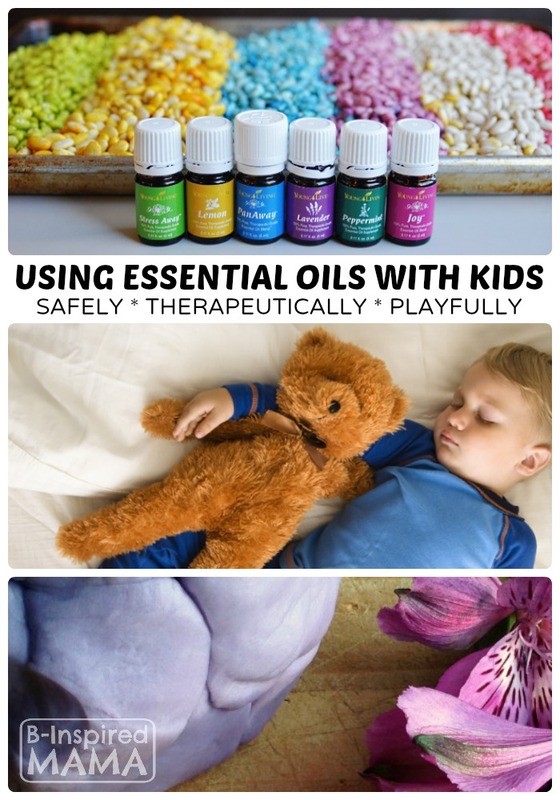 Wondering How to Use Essential Oils with Your Kids? First and foremost, safety is on my mama mind. The fact that essential oils are all natural does NOT mean that they are ALWAYS SAFE. Some oils should not be used on young children at all while others are safe when diluted with a carrier oil (i.e. coconut or olive oil). …this mandatory disclaimer on my “Get Started with Young Living Essential Oils” page. BUT with some education, responsibility, and little common sense, they can be used in safe and therapeutic ways to increase wellness in our families. Risks and Uses of Essential Oils – Wellness Mama (who is quite obviously more well versed in natural parenting and wellness in general than I) has what seems to be a very well thought out article outlining the safe use of essential oils. The article includes implications for pregnancy, nursing, babies and children and also sites reputable studies and literature. Definitely read this for the quick essential oils safety low-down. Gentle Babies: Essential Oils and Natural Remedies for Pregnancy, Childbirth, Infants and Young Children – For more in-depth information about the safety of essential oils for children, check out this book! It’s been recommended to me by three “essential oil veterans” and has 5 stars on Amazon from over 470 reviews. Immune Boosting Tea – Keeping mama healthy might just be the #1 way to positively influence the kids. So I’m looking forward to utilizing this immune boosting hot tea recipe from Lemon Lime Adventures to help stave off illness. Increase Attention and Focus – I’m also hoping to have success as others have with using essential oils to help my son (who has ADHD and SPD) have better focus during his homework time. I’ve heard great things about using Young Living’s Peace and Calming blend for this. Encourage Better Sleep – My kids (ages 3 through 8) STILL aren’t the best sleepers. I’m hoping that adding a drop or two of popular Lavender essential oil the kids pillows might help. Scented Playdough – Add a couple drops of your favorite essential oil to store-bought or homemade playdough. B-Inspired Mama contributor, Erica of eLeMeNOP Kids made some Lavender Playdough that would be perfect for calming the kids before nap or bedtime. Scented Sensory Bin Play – I can’t wait to make some colorful scented rice or beans for the kids sensory bin, too. B-Inspired Mama contributor Kim added peppermint to a holiday themed sensory bin. And Kids Activities Blog shares a colorful rainbow scented sensory bin, too. The opportunities for scented sensory play are endless! How Would YOU Like to Use Essential Oils? 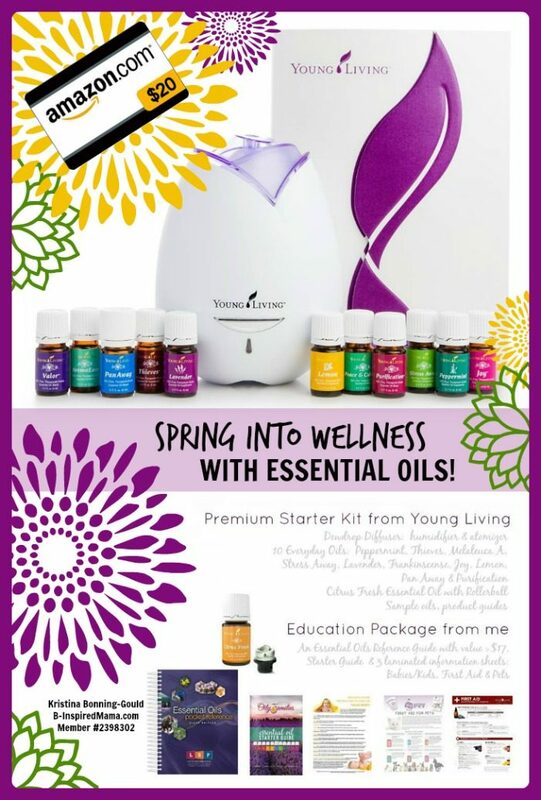 Whether you want to use essential oils therapeutically or just for play, the Young Living Starter Kit is the perfect way to get started. Learn more about the easy and affordable starter kit – and the AMAZING educational extras that come with it! 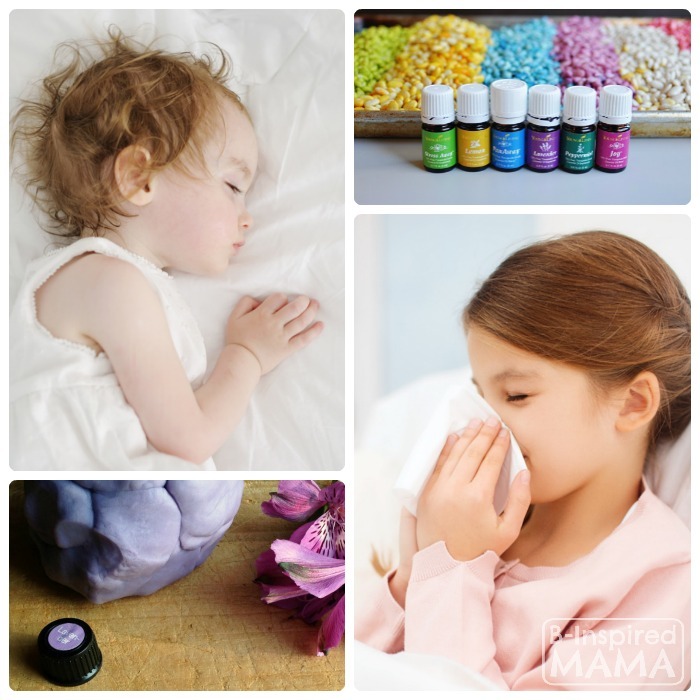 How do you plan to use essential oils with your kids? Have you already tried some essential oils? Do share in the comments below!